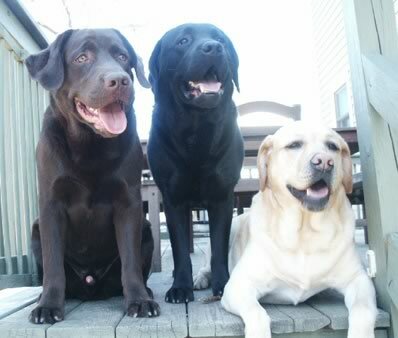 Lisa shares her home with three Labradors, Snowden Hill's Cooper, CGC, Snowden Hill's Charlie, CGC and Snowden Hill's Chocolate Chunk, CGC. Lisa enjoys the sport of purebred dogs and her Charlie (nicknamed "Tuna") is a pointed showdog who competes at AKC conformation events. Click here to see more information about Charlie’s pedigree and accomplishments. Click here for information about stud services and upcoming litters.